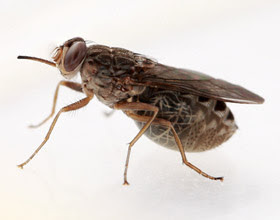 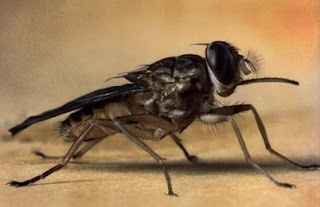 Tsetse, sometimes spelled tzetze and also known as tik-tik flies, are large biting flies that inhabit much of mid-continental Africa between the Sahara and the Kalahari deserts. 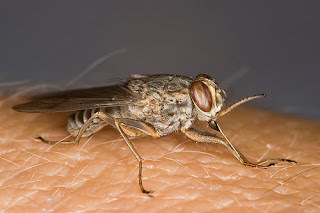 They live by feeding on the blood of vertebrate animals and are the primary biological vectors of Wuchereria bancrofti, which cause Elephantiasis, and trypanosomes, which cause human sleeping sickness and animal trypanosomiasis, also known as nagana. 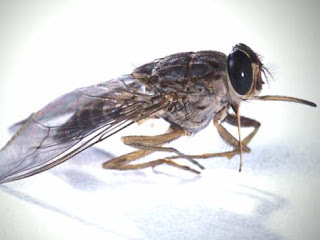 Tsetse include all the species in the genus Glossina, which are generally placed in their own family, Glossinidae.